Sue is a highly respected corporate facilitator, a consultant, an engaging Keynote speaker, an author, and is also the founder of ImprovWorks! 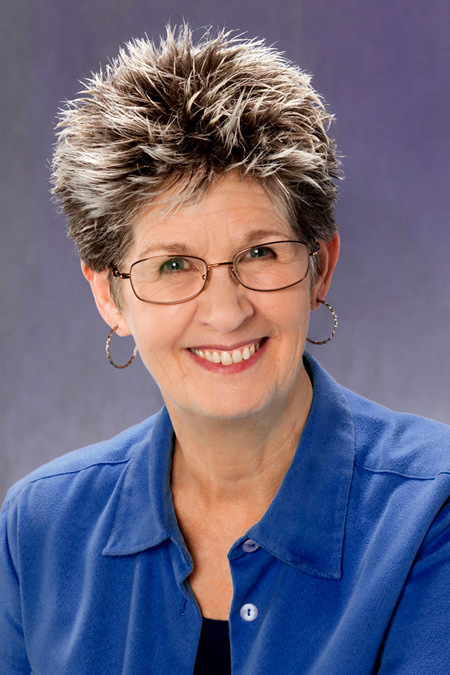 Sue’s experience includes a BA in Education and over 30 years of teaching, consulting, presenting, adapting, and widely applying the techniques of improvisation. These techniques are proven again and again to have a positive effect on the performance of Fortune 500 companies, small & independent businesses, and individuals. She uses improv training as a powerful and joyful way to peel away constraints, restraints and inhibitions, allowing the naturally expressive, collaborative and creative self to emerge. Her current passion is working with trainers & facilitators to help them operate more of the time in their conscious competence…expanding the depth of their skills and tool kit. Another enjoyable evolution of her work is the one-on-one consulting with professional speakers, with people preparing for job interviews, auditions, stand-up comedy, mediation, court appearances, plus helping facilitators design powerful experiential workshops. As a result of a ten year stint as a Specialty Staff member of the Coaches Training Institute’s Leadership Program, Sue now has a huge international base of fans. This sparked a fire to bring her work to more corners of the world: France, UK, Canada, Finland, Norway, Spain, Sweden, The Netherlands, Germany, Switzerland, South Korea, Japan, Israel and Turkey…so far. Sue is one of the initial 35 members of The Applied Improvisation Network, actively participating on the Board of Directors and Planning Teams for the Annual Conferences. Her special interests are assisting folks who are new to the field and supporting their professional development. In addition to being a master teacher in improvisational theater, for 28 years she was the director and a regular performer with San Francisco’s longest-running (and award-winning) improvisational theater company, “Flash Family”. After so many years of performing with a troupe, Sue chose to walk out on a limb and try a one-woman improv show: “Sue & Friends” bringing the viewers into the show in as many ways as possible. This show delighted audiences in Finland, the UK and all over California. She gives credit to her workshop students for bridging into business applications of the improvisation principles, skills and tools, and over the years has had the opportunity to work with some amazing companies. If Sue’s schedule doesn’t allow her presence for a training, she is graced with a network of skilled facilitators for backup, co-leading and assisting.